Ainsley’s interest in anatomy and her fascination with the capacity the human body has to heal, led her to a career in physiotherapy. 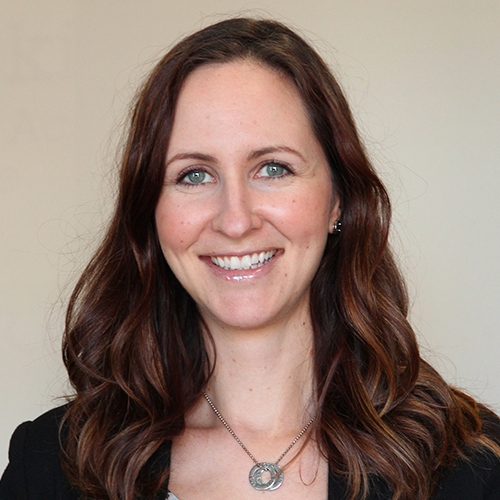 Ainsley graduated from the University of Manitoba in 2005 from the Faculty of Medical Rehabilitation, and has been happily practicing in Orthopaedics ever since! Ainsley is the new owner of Pembina Physiotherapy and Sports Injury Clinic. She is an acupuncture provider, a Stott Pilates Instructor and has taken a multitude of other post graduate courses including extensive Manual Therapy techniques, Soft Tissue Mobilization, Myofascial Release, and Muscle Energy Techniques. In 2018, she gained her FCAMPT designation through the Orthopedic Division of the Canadian Physiotherapy Association. FCAMPT stands for Fellow of the Canadian Academy of Manipulative Physiotherapy. Physiotherapists awarded this designation have completed extensive post-graduate education and attained internationally recognized hands-on therapy. Ainsley takes a client centred approach to treatment. After listening to a patient’s symptoms, she investigates to find the root cause, then creates a comprehensive plan to resolve the issues. When she’s not at work, Ainsley can be found tending to her garden, baking and spending quality time with her young family.